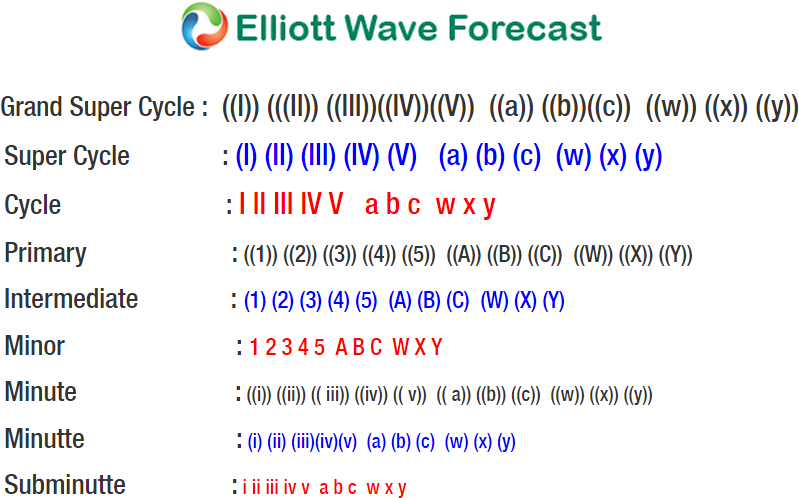 Nike Ending Elliott Wave 5 Waves Soon? You are here: Home / Stock Market / Nike Ending Elliott Wave 5 Waves Soon? Nike ticker Symbol: $NKE short-term Elliott wave view suggests that the rally to 73.47 high ended intermediate wave (3) as impulse. Down from there, the stock made a pullback in intermediate wave (4) pullback as Zigzag correction when internal Minor wave A ended at 71.65. Minor wave B ended at 72.53 high and Minor wave C ended at 70.42 low which also completed the intermediate wave (4) their. Above from 70.42 low, the rally is taking place into another impulse structure in intermediate wave (5) high. The internals of each leg higher in impulse sequence has sub-division of 5 waves structure with extension in 3rd wave higher thus favored it to be an impulse. In which, Nike case Minor wave 1, 3 & 5 has sub-division of 5 waves structure. The internal Minor wave 1 completed in 5 waves at 72.27 high, Minor wave 2 completed at 71.24 as a Flat structure. Minor wave 3 completed in another 5 waves structure at 75.91 high. Below from there, Minor wave 4 pullback is expected to complete already at 74.31 low. Near-term, while dips remain above that level the stock is expected to see another leg higher. Approximately towards 76.14-76.58 Minor 5=1 target area to complete the Minor wave 5 of (5). And also expected to complete the primary wave ((1)) as well. Then the stock is expected to do a primary wave ((2)) pullback in 3, 7 or 11 swings before further upside is seen. We don’t like selling the stock into a proposed pullback. Keep in mind that the market is dynamic and the view could change in the meantime. Success in trading requires proper risk and money management as well as an understanding of Elliott Wave theory, cycle analysis, and correlation. We have developed a very good trading strategy that defines the entry. Stop loss and take profit levels with high accuracy and allows you to take a risk-free position, shortly after taking it by protecting your wallet. 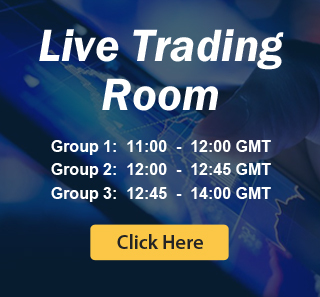 If you want to learn all about it and become a professional trader, then join our service by selecting any membership plan here.